With over 35 years experience, RHF fans are a technology led manufacturer of centrifugal and axial industrial fans. A unique approach to design and production, and a stable fiscal base has seen RHF grow to a market leading position in the UK. Strategic investment in manufacturing equipment allied to class leading engineering, software development and design skills has enabled RHF to create a range of industrial fans that deliver superior performance across all applications. 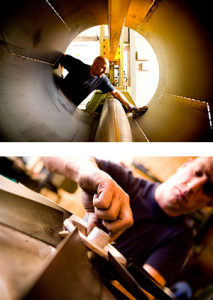 RHF’s bespoke solutions and unique ‘Smoothflow’ technology deliver guaranteed performance advantages in the critical areas of inlet and impellor construction, which in turn ensure better performing products. Comprehensive technical documentation and rigorous testing underpins all product development. Better thinking from RHF, from the first point of enquiry, through specification, design and production creates more effective solutions for our customers.